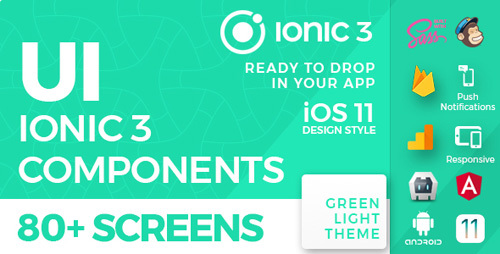 Ionic 3 Green � Light iOS 11 style UI theme is here. Use 80+ layouts and build your�Ionic 3 / Angular 4 mobile app. Save hours of developing and use�80+ beautifully designed HTML5 layouts.�Choose functions that you need and combine hundreds of HTML5 UI components by your wish. 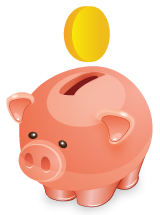 Don�t break your head and build HTML5 mobile app from scratch � we did it for you! All main functions are here. You can make almost any app with our UI template app. We made�really superb organized main SASS file�with all needed variables in wish to provide developers�low time consuming tool�for fast and clean-code development of best mobile apps. You can change all app screens in one file to adjust it to your brand or client. By using our template you can�quickly produce best mobile apps for Android and iOS. Now you have maximum flexibility and you can easy customize every theme to your needs�to all 80+ layouts at once. In our Ionic 3 /Angular 4 UI components we expanded default Ionic�s features and functionalities and added them iOS 11 polishing. All elements are inspired by new iOS 11 but still made to look great also on Android devices. You can�easy implement�UI elements source code from Ionic 3 UI theme / template by following our well organized documentation.